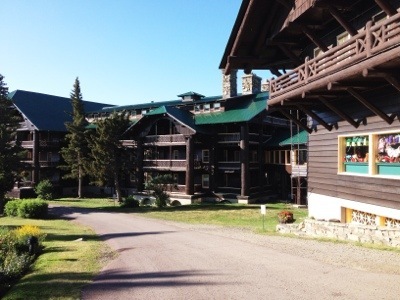 The East Glacier Lodge is one of the grand old wooden railroad hotels. Amtrak stops across the road from the entrance. 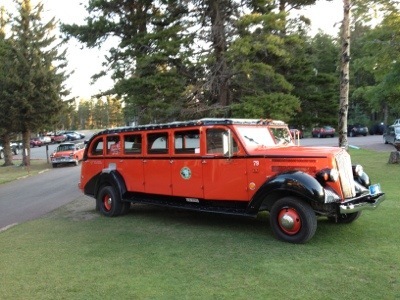 Guests are met today, just as they were in the 50’s, by a distinctive red bus. They were called Jammers because of the difficult to shift manual transmission. Today, the fleet of 30 buses is running again. Refurbished through a grant from Ford, the red buses are now green–powered by natural gas. The red buses now have automatic transmissions, no more jamming. 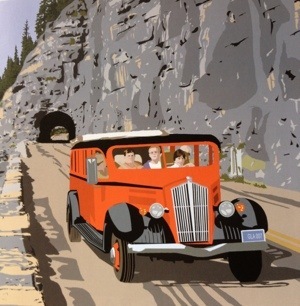 This entry was posted in Montana, Travel Blog and tagged Glacier Park, Montana, Travel, Vacation by carto. Bookmark the permalink.